Pugcorn! This is for this week's Illustration Friday topic "kernel." 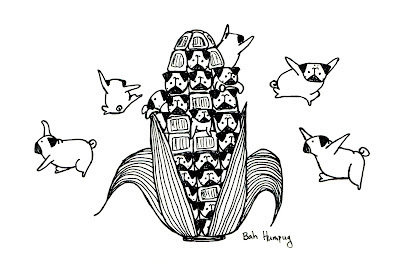 I had a hard time thinking of something to do for kernel and then during a long run I came up with the idea of pugcorn and pugs popping out of a cob with their arms and legs sticking out to resemble puffed out corn. So sit back and relax this Sunday evening with a movie and some pugcorn. This one is my favorite! With every pug I've had there has been a popcorn ritual - they help me make it (oil popped in a pan) and help me eat it. My first pug, Rooney, holds our house record for most mid-air kernel catches - 13 in a row. This is very cute...love it. 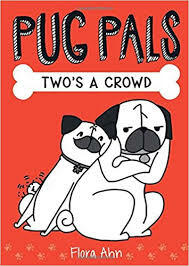 I love the way you capture the various personalities of Pugs. I tend to think that each one in the world is unique. I have three. Cute stuff here. Has this pugcorn been washed before serving? Especially their feet?? It's funny, I used to think up gags during my nightly jogs. Seems to work, huh. Good one. 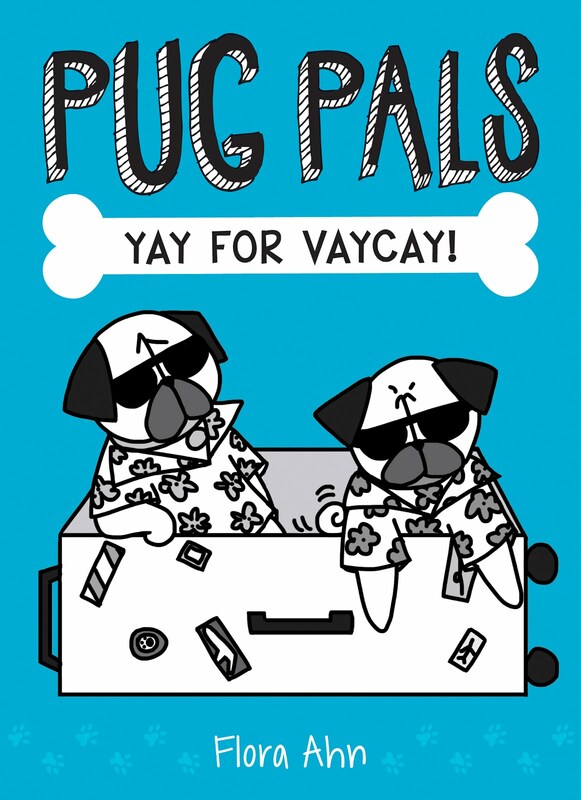 popping pugs, what a great performance! My dog is a popcorn fiend for sure. 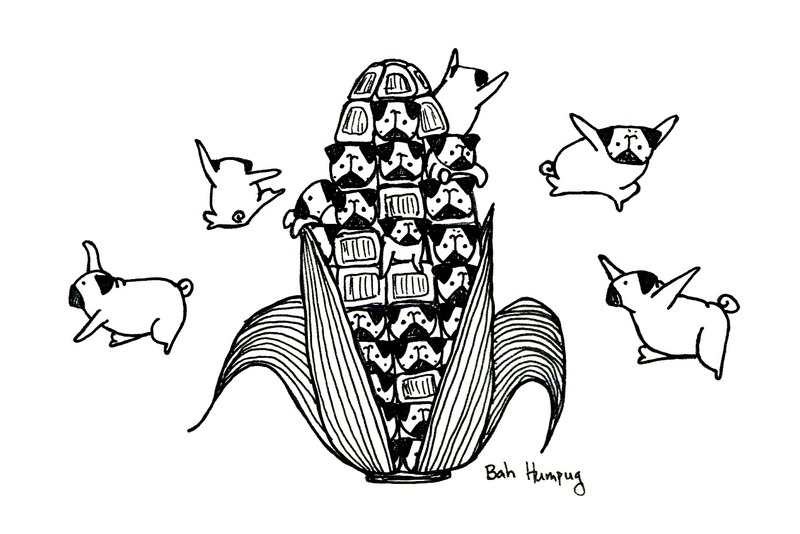 Love the pugcorn! I hope this is a crazy fantasy and not a thing where people *eat* the pugcorn. Wonderful patterns in black and white. So great! Ha ha! So cute! I love their flailing arms as they "pop!"